THIS IS A SERIOUS EMERGENCY. PLEASE DO WHAT YOU CAN AND MAKE WHATEVER CALLS YOU CAN. Today, 29th December 2011 the co-founder, avid supporter and mentor of the Freedom Theatre, Zakaria Zubeidi, has been told by the Palestinian Authority that his amnesty is being revoked by the Israeli authorities. This amnesty agreement, granted in 2007 by the Israeli Prime Minister's office was in return for Zubeidi's ending of armed resistance. The amnesty agreement allowed him to remain safe inside the Palestinian Authority district of Jenin where the Israeli military would not seek to arrest or assassinate him. After having been the leader of the armed resistance during the second Intifada, Zubeidi has since 2006 committed to cultural, non-violent resistance through theatre. He founded The Freedom Theatre together with Juliano Mer Khamis, who was assassinated earlier this year by unknown assailants. 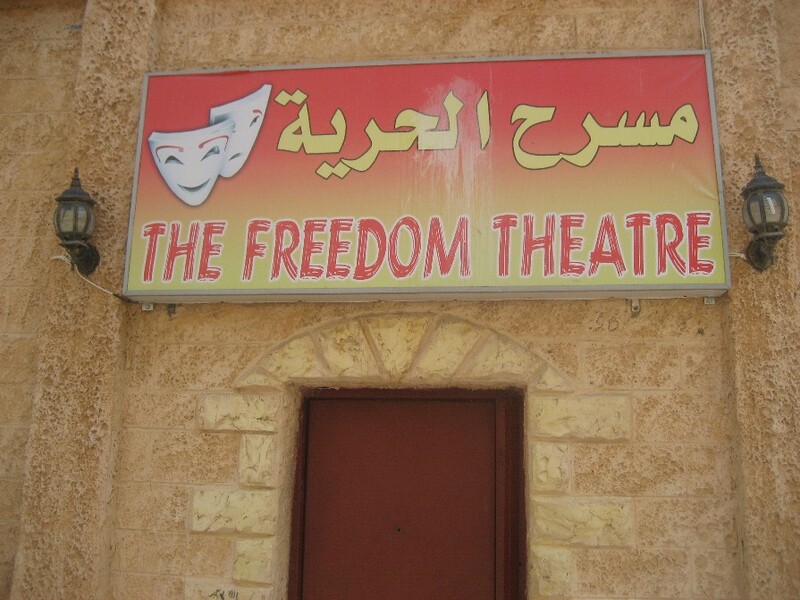 The Freedom Theatre is a cultural venue in Jenin Refugee Camp, that uses the arts as a form of resistance against occupation. Zubeidi has become one of the main advocates for non-violent resistance through the arts. As Zubeidi states: "We used armed resistance to represent our case in the Intifada, and then we decided to follow the PA's amnesty program and give up armed resistance, so then I continued my struggle against occupation through cultural resistance, and The Freedom Theatre is one of the institutions that have my full support." However, today at 16:00 the Palestinian Authority was contacted by the Israeli Army informing them that Zakaria Zubeidi's amnesty was removed and that he has an hour to hand himself in. His phone has been taken from him and he is in grave danger. No reason has been given for this sudden withdrawal of Zubeidi's amnesty. The Freedom Theatre regards this as yet another stage in the continued attacks and harassment that The Freedom Theatre have been facing for several months; including attacks on the theatre by Israeli Special Forces, repeated nightly arrests of its members and demands that both staff and students hand themselves over for interrogation. - Whatever reasons the Israeli authorities will give for this cynical turn-around, it further jeopardizes the work of The Freedom Theatre in advocating non-violent resistance and puts Zakaria's safety at risk, says Jonatan Stanczak, the third co-founder of The Freedom Theatre. - Zakaria has always kept to the conditions of the amnesty whilst supporting a cultural intifada, so this news comes as a complete shock, says Jacob Gough a friend of Zubeidi's and long time associate of The Freedom Theatre. voice opposition to this move and show support to Zakaria Zubeidi.